Related to my last two posts, and our discussion, Sean Carroll turned in an answer to the “What Scientific Ideas Are Ready for Retirement?” His answer? Falsifiability. Modern physics stretches into realms far removed from everyday experience, and sometimes the connection to experiment becomes tenuous at best. String theory and other approaches to quantum gravity involve phenomena that are likely to manifest themselves only at energies enormously higher than anything we have access to here on Earth. The cosmological multiverse and the many-worlds interpretation of quantum mechanics posit other realms that are impossible for us to access directly. Some scientists, leaning on Popper, have suggested that these theories are non-scientific because they are not falsifiable. The truth is the opposite. Whether or not we can observe them directly, the entities involved in these theories are either real or they are not. Refusing to contemplate their possible existence on the grounds of some a priori principle, even though they might play a crucial role in how the world works, is as non-scientific as it gets. via What Scientific Ideas Are Ready for Retirement? | Sean Carroll. Carroll’s reasoning is nuanced and his essay deserves to be read in full. I’m a fan of Carroll’s, but he seems to be splitting some very fine hairs here. I’m sympathetic to falsifiability in and of itself not being the end all be all of the demarcation of science, but it seems like there needs to be some relation to empirical data. Carroll does give a nod in this direction, but when your theories are never testable, even in principle, it sure seems like you’re engaging in a different kind of inquiry than what has historically been labelled as science. I also found his disparaging remarks about the critics of these theories to be somewhat off putting. In my experience, when someone feels the need to engage in that kind of name calling, throwing around labels like ‘amateur’ or ‘lazy’, it’s often because they suspect their own argument isn’t strong enough to stand on its on. Anyway, this demonstrates to me that Baggott wasn’t just arguing against a straw-man when he said that some physicists were beginning to doubt the usefulness of testable predictions. This entry was posted in Zeitgeist and tagged Carroll, Earth, Falsifiability, Many-worlds interpretation, Quantum mechanics, Science, Sean Carroll, String theory, Theory. Bookmark the permalink. 25 Responses to Time to ditch falsifiability? I enjoy your thoughts. Physicists like Michio Kaku and Brian green who are pioneers of string theory both have said that they actually do not believe in String theory. Although they have dedicated their entire lives to the study of the theory they do not believe it…why? Because of exactly what you said, they cannot be tested…as of yet. maybe they will never be able to be tested, yet aside from all of this physicists continue to pursue the theory in the hopes that someone, somewhen the theory will manifest some tangible results. Personally I love strong theory, or M-theory as it is commonly referred to. Although it may be the case that someone like Popper would call M-theory pseudo-science he would nonetheless argue that even though it is not falsifiable it could still aid in future genuine scientific results. its hard to say what is actually the case, perhaps thats the fun of science. You’re too kind. Thank you, and thanks for the reblog! It’s hard for me to conceive of someone spending their lives working on a theory they don’t believe in, but some scientists are instrumentalists, in that they don’t believe they are describing reality, just providing a useful framework for relating empirical observations. Most though are realists, in that they see scientific theories as truly relating to reality, albeit provisionally. It seems like it’s a useful skill to put the instrumentalist hat on from time to time, but I would think most people would be more motivated by the realist perspective. I agree with you entirely. I have to respect them though for their honesty as well as their ability to spend so much time on what they think is false, even for the forceable future. Nonetheless, the theory may one day prove to be fruitful or provide the seeds for a more encompassing and testable theory. However hoping that it is true is not a reason to believe it is true. Personally, although I cant logically believe in it, I nonetheless hope that it one day is proven to be true. I have been studying string theory for years and I am no less enthralled by it now then I was when I was first introduced to it. It is an absolutely beautiful and eloquent theory, albeit extremely complex. You might not realize it from the last few posts, but I’m actually agnostic on string theory (and the other speculative theories). Truth be told, I have only a layman’s understanding of it, so I don’t see its beauty the way someone who understands the mathematics. But I’d be thrilled if it eventually turned out to be useful. Thanks! I’ll check it out. I’m actually intrigued by how Kaku relates string theory to the Music of the Ainur. Although String Theory (M-theory) is a beautiful theory that is able to mathematically reconcile the four forces. Its a theory of eloquence and beauty, yet its inability to be tested and empirically proven through observation, even indirectly creates a lack of falsifiability. We have to be aware that we cannot accept this theory until we have some semblance of tangible supporting evidence either for or against the theory. “We have to be aware that a theory that can’t produce predictions is not even a scientific theory, it is a (possibly scientific) proto-theory that doesn’t have any practical consequence”? I see the above as an alternative definition of theoretical physics: it’s not physics, it’s theoretical. It may eventually develop into a complete theory, but it may not, and we can’t predict(!) if it will. 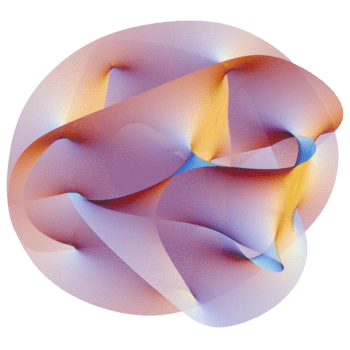 String theory is still a very active area of research, so just because it hasn’t yet made any falsifiable predictions, that doesn’t mean that it won’t. Researchers in string theory are desperately trying to make some predictions! Perhaps there are real reasons why the fundamental constants of nature have the values they do. I don’t think you could falsify the anthropic principle, but maybe one day we will just regard it as silly. Baggott implied that string theory largely depends on supersymmetry being true (I think I recall Michio Kaku saying something similar.). Based on some of the Edge responses, some physicists seem to be losing patience with string theory. I wonder if their numbers will grow if none of the particles predicted by SUSY are found. Popper seemed prescriptive, in that he advocated for falsifiability as a criteria for whether or not something is science (and then excluded Marxism, psychoanalysis, and natural selection from science, while admitting that they may still be useful frameworks — he later backed off on natural selection). Thomas Kuhn was more descriptive, observing that, in practice, scientists will modify existing theories on new evidence until a better overall theory is found and a paradigm shift takes place. Sometimes, when I venture away from safe shores like selfawarepatterns and out into the wild woods of the blogosphere, I encounter *crazy* discussions about all sorts of things. This sets me wondering about whether falsifiability is truly objective. Maybe you and I and a thousand others would agree that a theory is false (based on the evidence) and yet *out there* are thousands, perhaps millions who would disagree. After all, we’re just a bunch of jumped-up apes. Perhaps things we think are false aren’t, and vice versa. I’ve had similar sideways thoughts. What is “objective” ultimately but subjective perceptions that large numbers of people agree on? Everything has an interpretive layer to it. It’s why I said the other day that we may not even be aware of many of the philosophical assumptions that we’re making. That said, I do think apportioning belief according to evidence, and closely related logic, is an important principle to shoot for. It will always take judgment to decide if we’re succeeding, but without that principle it seems like it becomes just a popularity contest. Unfortunately, reality isn’t democratic. This is a meta-comment, or a comment-aggregator. First and foremost: I’m enjoying this discussion and wanted to show my appreciation. I’ve also written a lot on this kind of problems, and lots of comments on this and related posts touch subjects that I’ve tried hard to explore rigorously. I’ll post a few links, would really like to hear your opinions: it’s the best way I have to check if I’m making sense. Everything has an interpretive layer to it. That’s where I start. And makes science epistemology a little hard: http://sergiograziosi.wordpress.com/2013/09/01/knowledge-and-emotions-just-another-story-part-1/ starts a series of three posts on (scientific) knowledge. Can string theory be falsified? Agreeing with this, in principle, of course. Thanks for this post! Mike, I just spotted this cartoon and thought of you.